The primary property that we choose to compare the materials used will be their Dk value, also known as their oxygen transmissibility. 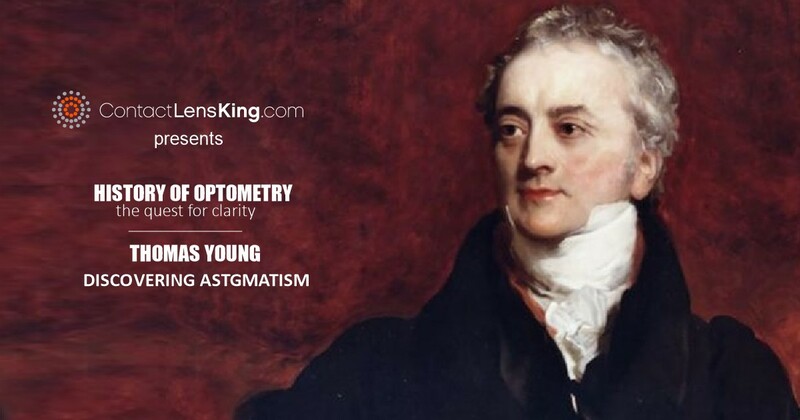 A lens's oxygen transmissibility refers to its ability to feed oxygen to the cornea. 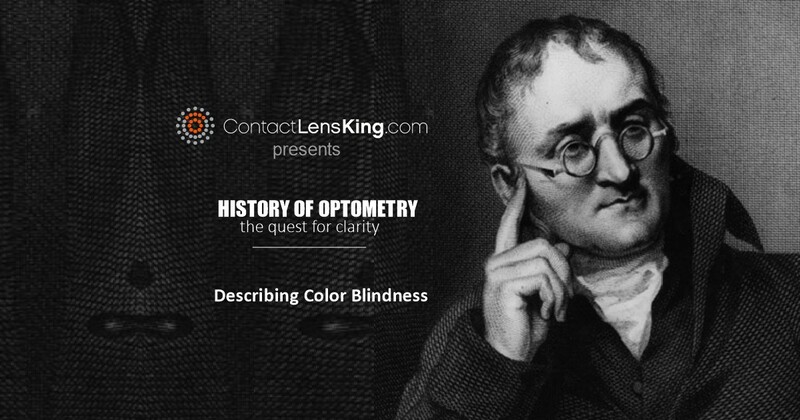 We will also compare the lenses' overall comfort by comparing their water content. 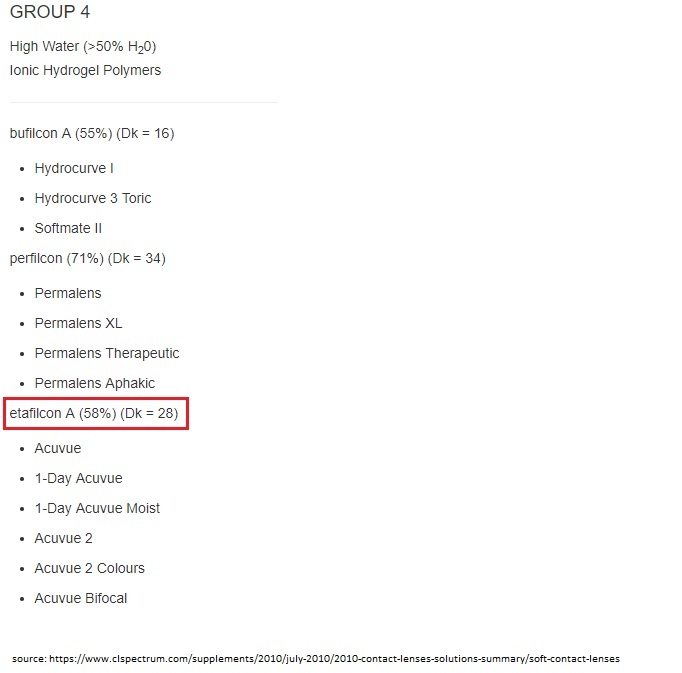 SightSupply.com contact lenses are manufactured using a material called etafilicon A hydrogel, which according to Contact Lens Spectrum has a Dk value of 28. 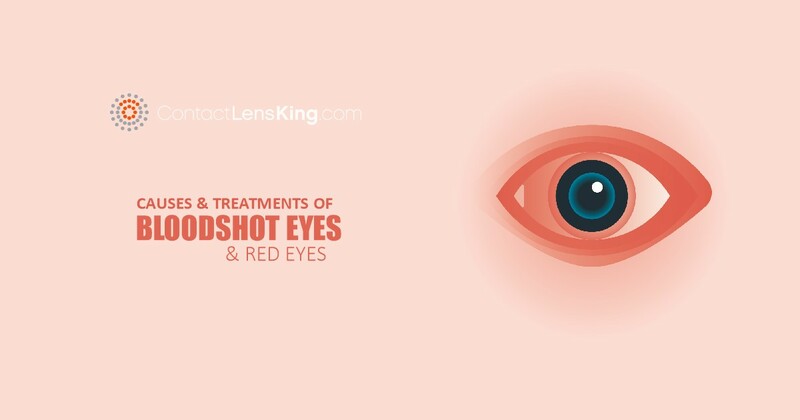 The main advantage of this material is that it's an FDA approved material with a proven track record and is cost effective therefore lowering the lenses' overall price. According to Contact Lens King's website, Acuvue Oasys 1-Day is manufactured using Senofilicon A, a silicon hydrogel material. This newer material combines the extremely transmissible properties of silicone with a water loving material for extra comfort. The water content of this product is measured at 38% and according to AcuvueProfessional.com, it has a Dk value of 121. So how do these two brands stack up against each other? 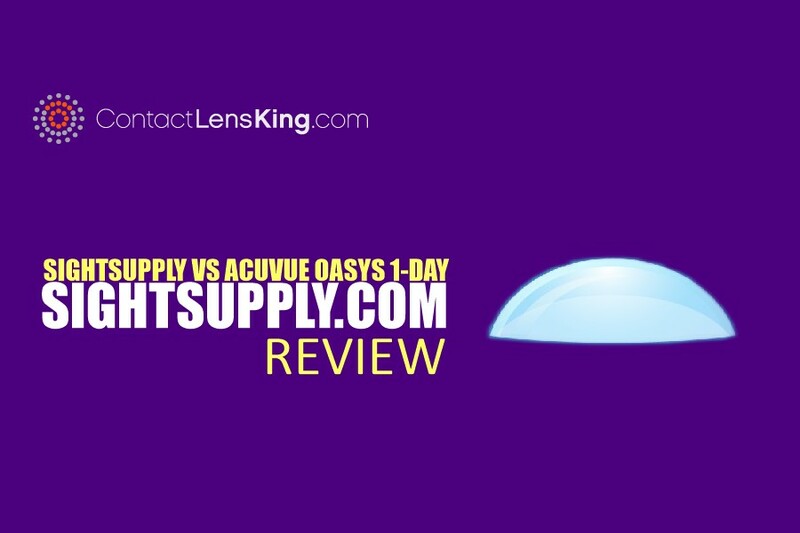 When comparing the materials' Dk Value, Acuvue Oasys beats SightSupply.com's material by nearly 7 fold . When it comes to eye health, Acuvue Oasys 1 Day takes the lead with its higher oxygen transmissibiltytherefore promoting healthier eyes. When it comes to comfort, Acuvue Oasys 1 Day's increased water content helps to promote an increased comfort experience. Price is the only category within this comparison where SightSupply.com comes out ahead. By using an older material they can realize savings which they are able to pass along to their customers.